CAN THE HOSPITAL TURN ME AWAY? Most people believe that if you go to an emergency room, they cannot refuse to treat you. That is not entirely true. Consider the case of the late Barbara Dawson. She died after being forced to leave an emergency room in handcuffs. Barbara Dawson went to Calhoun Liberty Hospital in Blountstown, Florida. She sought treatment for breathing problems. Dawson was examined and discharged by the physicians. She refused to leave because she was still in pain even though the hospital staff said she was medically stable to leave. Police were called to the emergency room and she was charged with disorderly conduct and trespassing. Dawson was escorted out of the hospital in handcuffs. She collapsed as she arrived at the officer’s car. Dawson was readmitted to the emergency room. She was pronounced dead about an hour later. The Florida state medical examiner ruled that she died from natural causes due to a blood clot in her lung. Dawson’s family has retained counsel to file suit against the hospital and others who may be responsible for Dawson’s death. In a case such as this, the attorney will investigate whether negligence or medical malpractice took place and whether it caused Ms. Dawson’s death. The investigation will include a review of her medical history as well as her care and treatment. The policies and procedures of the hospital will also be examined. One question will be whether this was an isolated incident or is it a systemic failure. If the policies and procedures place patients at risk then the danger zone extends well past Ms. Dawson. 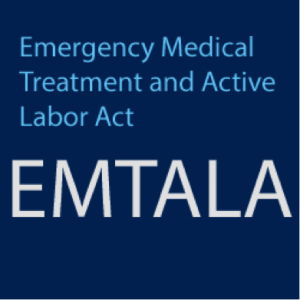 Another issue the family is likely to confront is Emergency Medical Treatment and Active Labor Act (EMTALA). This law was enacted to eliminate and prevent “patient dumping” which is when a hospital refuses to treat or transfers someone because of an inability to pay. According to the Centers for Medicare &Medicaid Services the EMTALA was enacted to make sure the public had access to emergency services without regard to their ability of pay. 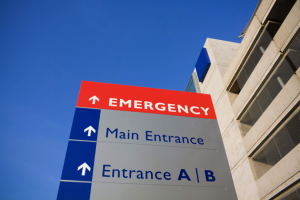 Medicare-participating hospitals offering emergency services to provide a MSE (medical screening examination) when a request is made for an exam or treatment of an EMC (emergency medical condition)…regardless of the ability to pay. In addition, hospitals are required to provide treatment that stabilizes or if unable, or if patient requests, then an appropriate transfer should be accomplished. If you have an emergency medical condition and go to a hospital, you should be treated and evaluated at a minimum. If you are refused service or you feel you are subjected to “patient dumping” then you should contact your personal injury lawyer. Your health is too important to ignore. Your attorney can help determine if you were treated fairly and legally. If you or your family were not treated correctly, then your lawyer can assist you in correcting this injustice and help to protect your interests. Wolfson Law Firm is a Miami personal injury law firm located in Miami, Florida that practices entirely in the field of all types of accident, injury, and wrongful death cases. The firm routinely accepts trial referrals. It is a boutique law firm that represents clients, giving them the utmost personal attention. Wolfson lawyers help clients in all parts of injury and wrongful death claims, handling cases from initial investigation, through trial, and even appeals. Call us today for a free evaluation at (305) 285-1115.